From 1984 to 2013 the Church and the Community Association publications recorded events on the evolving community on Heatherside. Take a trip down memory lane! The first issues were published in 1984 and produced on a photocopier. Issue 1 above was published in June and covered one side of an A4 sheet. 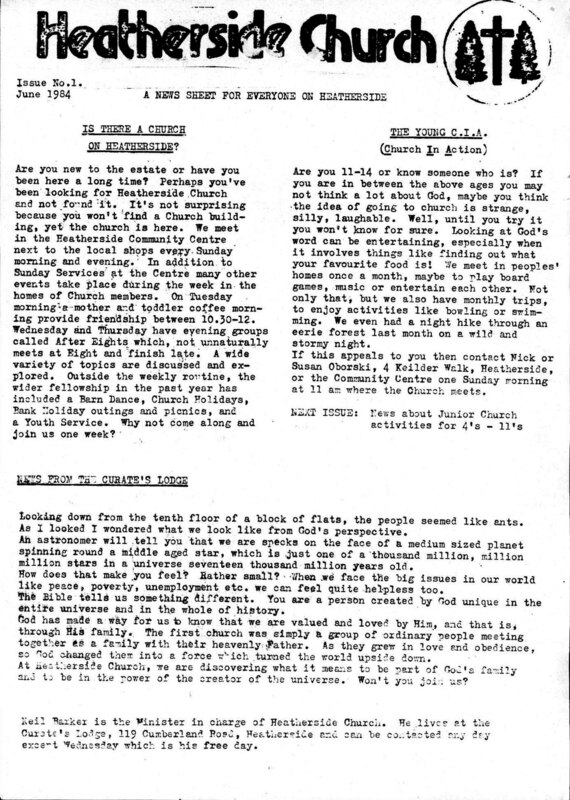 The newsletter of Heatherside Church commenced publication in September 1992 and continued until October 1993 after which it became a joint publication with the Community Association. 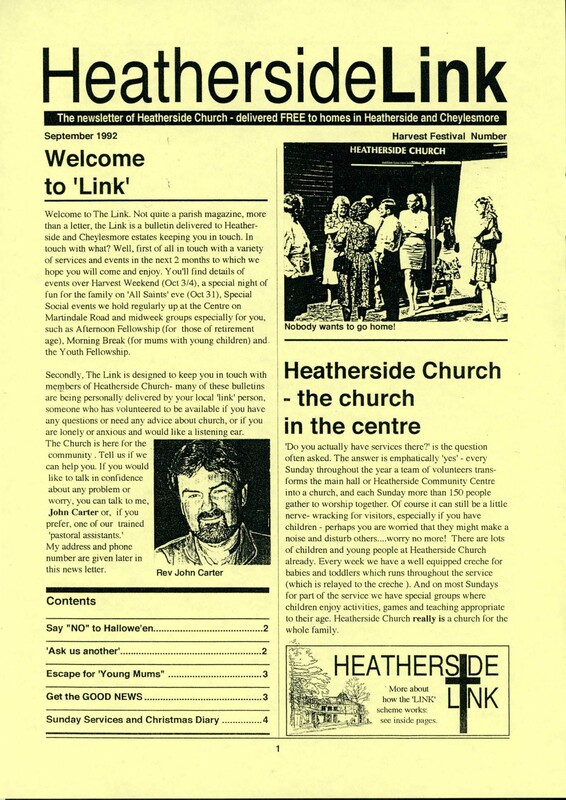 Heatherside link was published between 1994 and 2013 was a community newsletter delivered free to all homes in and around Heatherside and Cheylesmore. Prior to this there had been separate newsletters produced by our Church and the Community Association. By 1994 it was felt that a combined community magazine would be of value and the first edition was published in April 1994. 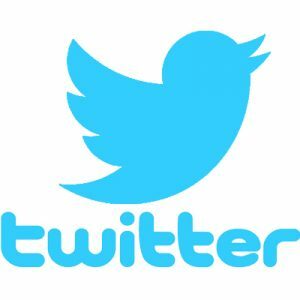 Escalating publication costs which had been primarily been born by the Church and the Community Association and the growing impact of Social Media brought about Newslink’s demise and the last issue appeared in December 2013. Click on the links below to view an original edition.